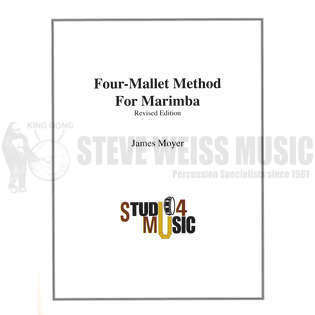 James Moyer's Four-Mallet Method for Marimba is a complete method for the beginning four-mallet student. Each of the five basic marimba techniques is presented in a logical sequence through exercises, developmental etudes and short repertoire. The revised edition includes new material. Recommended for college freshmen or other students new to four-mallet marimba technique. 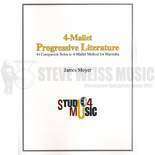 NOW AVAILABLE - the companion book to Four-Mallet Method for Marimba by James Moyer - Four Mallet Progressive Literature. This new companion book (sold separately) provides progressive solos and etudes to accompany the lessons found in this excellent method book.